Tenerife gets a bad rap. Yes, if you hit the resorts you’ll find high-rise hotels and English breakfasts, but explore just a little further and you’ll encounter dramatic volcanic landscapes, ancient fishing villages and fresh fish restaurants packed with large Spanish families catching up over platters of just-caught seafood. One of my favourite parts of Tenerife is practically within beach towel swinging distance of the infamous party resorts (and the island’s main airport), but retains a Spanish vibe – and has some of Tenerife’s most reliable winds. 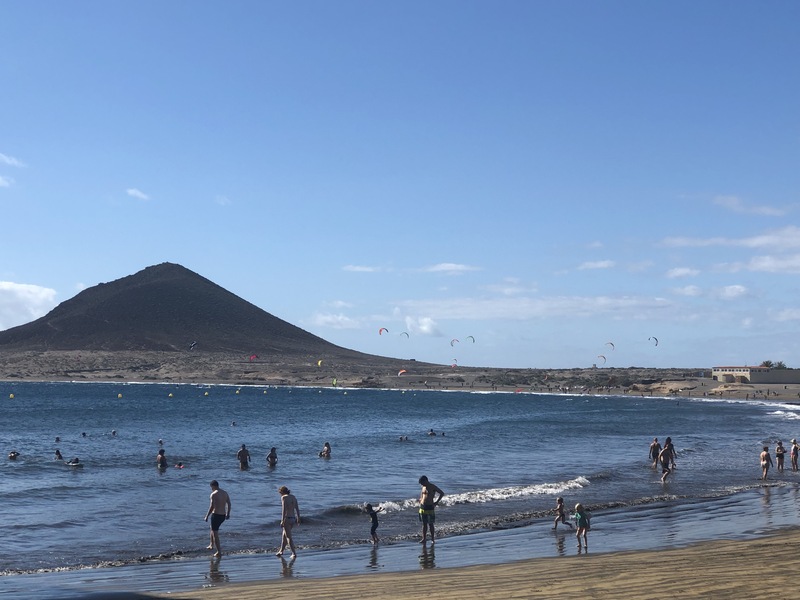 I visited the southern coast around Médano and Los Abrigos last month to learn how to kitesurf those blustery winds, as well as to feast on local cherne (stone bass) and hike up Montaña Roja to stand amid the birdlife.